This week I will be giving up weeknight treats. OK, that is to say not completely. I will still eat if I feel hungry or snacky. This isn't about deprivation, it's about being more healthy. But instead of cookies, chocolate, ice cream, chips or general naughtiness of that nature, I'm going to try to go for healthier options like fruit, yogurt, nuts (unsalted). The idea is that I will try to be smart about what I eat during the week, then fulfill whatever snack cravings I have on the weekends. I'm not swearing off sugar or treats completely, because for 99% of the population, that is doomed to fail. I'm not deciding to stop eating after a certain time of day, because I believe that if your body is telling to eat, you need to listen to it. I'm just trying to be a little more mindful about my snack habits. If you are joining me, I'm going to leave it up to you to decide what you want to eat and not eat. I'm also going to let you decide if your weekend is Friday, Saturday and Sunday, or just Saturday and Sunday. We're all grown ups here (right?) and I think we know what constitutes healthy and not-so-healthy. However, if you need some ideas (I do! ), you could try looking here, here, and here are some ideas for healthy snacks. Good luck to you, soldier. 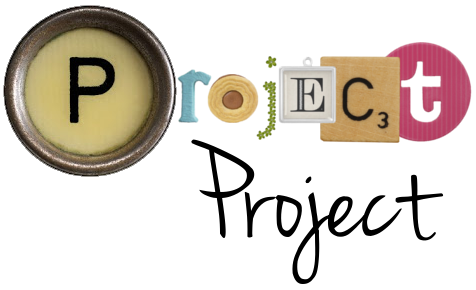 PS: For those of you bored to tears with my health challenge, I am planning some typical Project Project projects to blog about soon. Just bear with me while I try to do something a little better for myself. I have just found your blog and enjoy reading about your health challenge! I found myself eating raw carrots a few nights ago - Its all I had, needed to do a big shop! My favorite thing right now is hummus with pita bread. I'm hoping it's healthy because I'm sure eating a lot of it! I'm trying the same thing this year. I used to snack on candy every day, but I've switched to healthy snacks/fruit/veggies instead and saving a sugar treat or two for the weekends. I sure feel a lot better.